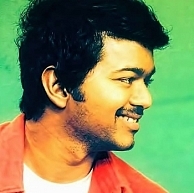 "Samuthirakani and Vijay haven't met each other till now, though they have had discussions over the phone. The talks for this project are in process but nothing has been confirmed. Once they meet, things may fall in place. The situation will also become clearer after the release of Janda Pai Kapiraju, the Telugu version of Nimirnthu Nil. Samuthirakani is also in talks for a film with Jiiva. His next film will be known clearly by April"
It must be noted that after his current commitment with director Murugadoss, Vijay is expected to begin work with director Chimbudevan and he is also in talks for a film with young director Atlee. Will he move on to this proposed Samuthirakani film after all these films or does he have other plans? We have to wait and watch. Ilayathalapathy Vijay To Sing For Anirudh? People looking for online information on Atlee, Chimbu Devan, Ilayathalapathy Vijay, Samuthirakani will find this news story useful.